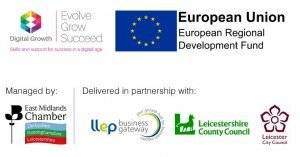 The Digital Growth Programme managed by East Midlands Chamber (Derbyshire, Nottinghamshire, Leicestershire) in partnership with Leicester City and Leicestershire County Councils, is a programme part-funded by the European Regional Development Fund. Its aim is to support businesses to grow by utilising digital technology through interactive events, strategic planning workshops, awareness-raising seminars, one-to-one support, mentoring and grants. Farms, businesses and community groups are invited to submit bids to the LEADER grant scheme which aims to boost East Leicestershire's rural economy and create jobs. LEADER, part of the European Union's Rural Development Programme, was launched locally in 2015 to support rural business diversify and grow across Melton and Harborough, as well as parts of Charnwood and Blaby. Grants of up to £35,000 are available and in some cases £75,000 could be awarded. Rupert Harrison, Andrew Granger & Co Surveyors and Chair of the East Leicestershire Local Action Group, said: "Supported by businesses the East Leicestershire LEADER programme is one of the top performing in the region, we have helped numerous businesses to improve and expand their services and products which will ultimately create local jobs, benefit local supply chains and bring visitors to the area." Pam Posnett, Cabinet Member for environment at Leicestershire County Council and Chair of the Leicestershire Rural Partnership, said: "I want to encourage farms, businesses and communities to apply for a share of this fund. Since opening for applications in 2015 we have supported 13 projects from across East Leicestershire, distributing £300,000 of funding. In the last round of applications which closed in July a further 14 projects have been invited to complete a full application. £500,000 of funding is still available for projects up until March 2019." K & A Watchorn and Sons Farm in Waltham on the Wolds, was successful in receiving LEADER funding, used the money to purchase farming equipment. Will Watchorn said: "Gaining LEADER funding to purchase a Cattle Handling system has drastically improved our efficiency and improved safety for our cattle." Applicants have until Friday 1December to make expressions of interest for farm productivity and diversification, small food and drink businesses, small and micro businesses. The call for forestry businesses and community projects increasing access to rural services remains open with no closing date currently set. An opportunity has presented itself through Leicestershire County Council's Adults & Communities Department, to help community organisations in Leicestershire to provide support to carers. Additional funding will be administered through the Council's existing SHIRE Community Grants programme, to enable more community-based support to be provided to carers. Please note that the existing SHIRE Community Grants Application Process and Guidance Notes will be used for the purposes of applying for grants for such projects. For more information about how to apply for a grant of up to £5,000 to deliver projects which support carers in Leicestershire, please go to the Leicestershire Communities website. The next deadline for applications is Monday 31st July, with further deadlines to follow on Monday 25th September and Monday 27th November. In January 2017, the Department for Environment, Food and Rural Affairs launched the latest call for funding from the European Agricultural Fund for Rural Development (EAFRD). In Leicestershire, Expressions of Interest are invited from Tourism Infrastructure and Food Processing projects. The aim of the funding is to create jobs and growth in the rural economy. The Rural Payments Agency delivers the grants, working with Local Enterprise Partnerships across England. The calls remain open until January 2018, subject to the availability of funds. Local businesses and organisations are invited to attend Blaby District Council's next network meeting and enjoy a free tasty breakfast. • Find out about funding and support programmes for local SMEs. • Receive an update on the local economy and key developments. • Find out news of the Digital Growth Programme from the East Midlands Chamber and about energy saving grants. • Network with other local business people. Places are limited so it is advised that you book early to confirm a place. 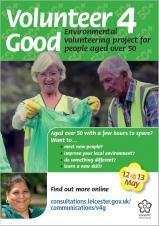 Details of how to do so are included in the attached flyer. Rural businesses are invited to submit bids to the LEADER grant scheme which aims to boost East Leicestershire's rural economy and create jobs. The scheme opens for expressions of interest from Monday 12 June. LEADER, part of the European Union's Rural Development Programme, was launched locally in 2015 to support rural business and tourism across Melton and Harborough, as well as parts of Charnwood and Blaby. Grants of up to £35,000 are available and in some cases £75,000 could be awarded. A spokesperson for Leicestershire County Council said: "I'd encourage rural businesses and communities to apply for a share of this fund. Since opening for applications in 2015 we have supported 13 projects from across East Leicestershire, distributing £300,000 of funding. £1 million of funding is still available for projects up until March 2019." Langton Brewery, was successful in receiving LEADER funding, used the money to install two new brew and fermenting tanks. Alistair Chapman from Langton Brewery said:LEADER funding has enabled us to increase our brewing capacity to meet increased demand for our beers". Priorities for the latest round of bidding are tourism businesses, small food and drink businesses, small and micro businesses, forestry businesses and community projects increasing access to rural services. The RCC has announced the Leicestershire and Rutland Rural Achievement Awards 2017. The awards are part of the RCC's work to promote excellence in all aspects of communities and in highlighting Leicestershire and Rutland as an excellent place to live and work. Nominations are sought from community groups, parish councils, charities, businesses and the general public. If you know of an excellent parish council, volunteer, business, community building, library, community service or group or an individual worthy of praise for their actions and contribution to the local community, please get in touch with the RCC using the details given below. More details on each category can be found via the document attached. The Chamber's Quarterly Economic Survey (QES) for the second three months of 2017 asks businesses how they have fared in the three months to the end of May and expect to fare in the three months from the start of June, including whether they expect their prices to rise and are considering increasing wages. There are additional questions this quarter to determine relationships between growth and recruitment, planned investment in staff training and what factors might influence investment in training. The closing date is 12th June 2017. This event has taken place. For more information please visit here.